If you think back to your childhood years, we can guarantee that you were outside exploring the world around you. You also got up to various forms of mischief for entertainment. Of course, as a source of hours of endless fun and the occasional broken window, you always had a slingshot in your arsenal. However, we have aged, and we have left much behind, including that beloved slingshot. If you were looking to rekindling the flame of youth, but with an adult twist, the BRNLY SlingPop is exactly what you need! The SlingPop brings back those childhood memories, and the fun that is associated with them, in a new and different way. Each SlingPop is constructed out of high quality CNC machined aluminum. This makes it as lightweight as it is durable. 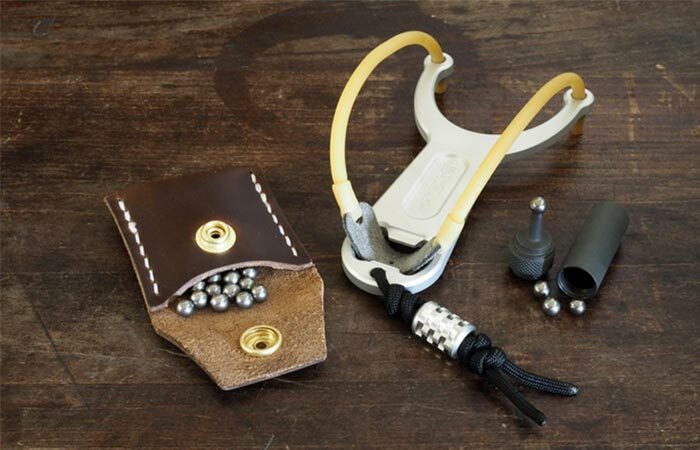 Essentially a slingshot, the SlingPop is a powerful sling, with the addition of a bottle opener. Of course, their motto is “Drink ‘Em & Plink ‘Em” and we can guarantee that you will never run out of targets with their added bottle opener. It was also designed to fit snugly into your back pocket. Check out the video below. 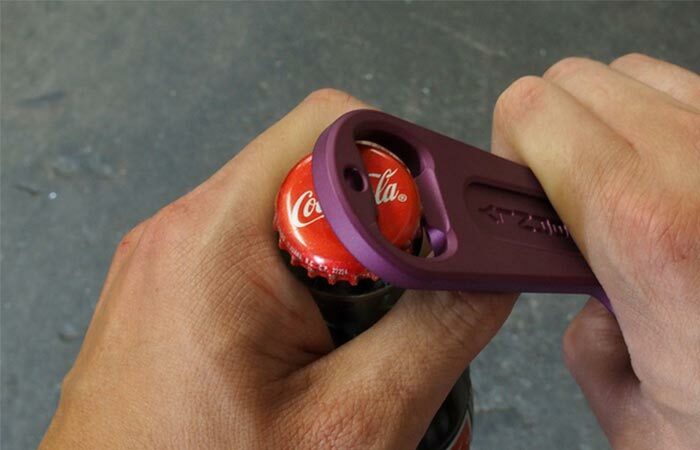 The added bottle opener makes it a practical tool, and it gives you plenty of targets. The goal of the SlingPop was to design a fun and high quality product, that can be used by adults and kids alike. Constructed to be of the highest quality, the BRNLY SlingPop is precision CNC machined from 6061-T6 Aluminum. This also means that it is lightweight, and durable, and an excellent EDC accessory. You can also purchase accessories for it that makes it easier to load, and shoot with. In addition to this, each SlingPop is tumbled for the deburring process; this also smooths the surface. It is then glass bead blasted for a fine textured finish, and then color anodized for extra protection and style. This SlingPop is available in black with a black rubber; there are also other colors available. 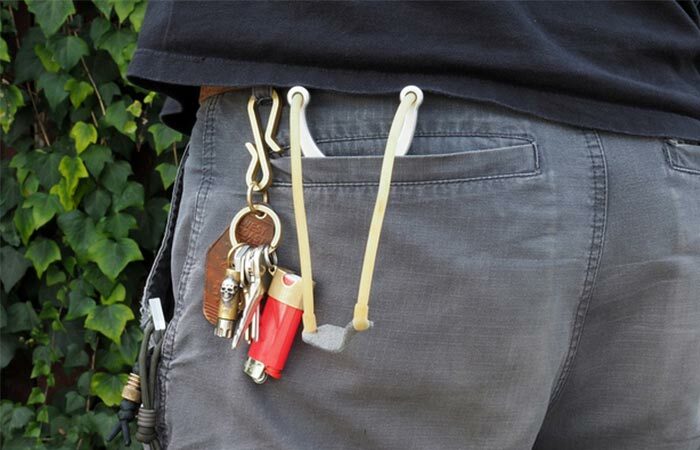 Designed to fit into your back pocket, the SlingPop is an amazing EDC accessory. To accompany your SlingPop, you can also purchase an ammo pouch, as well as a ball pusher. This makes it easier and quicker to load up your shots. Not to mention, you should always include it into your survival kit; it would make a superb small game hunting tool. 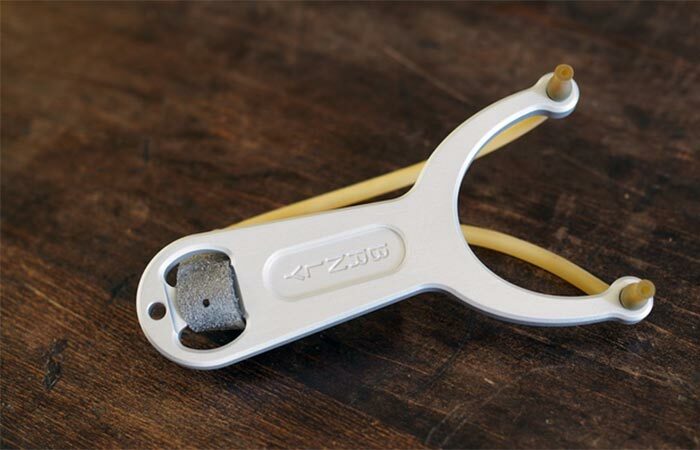 Check out our collection of slingshots here.